Inadequate vitamin D status (25-hydroxyvitamin D (25(OH)D) concentrations <50 nmol/L) is an increasingly important public health issue in Australia. 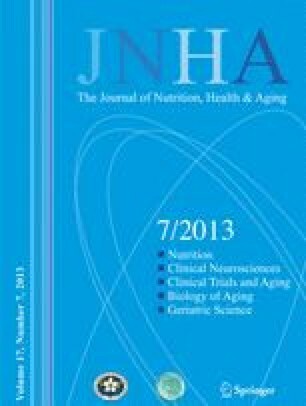 The aim of this analysis is to describe 25(OH)D levels in community dwelling men aged ≥70 years in Sydney, Australia, and to determine associations between serum 25(OH)D levels and socioeconomic and lifestyle factors. A population-based, crosssectional analysis of the baseline phase of the Concord Health and Ageing in Men Project (CHAMP), a large epidemiological study conducted in Sydney between January 2005 and May 2007. 1659 noninstitutionalised men aged ≥70 years. The cross-sectional analysis of the baseline phase of the Concord Health and Ageing in Men Project (CHAMP), a large epidemiological study conducted in Sydney between January 2005 and May 2007. Participants included 1659 community dwelling men who were interviewed and had clinical assessments. Main outcome measurements included serum 25(OH)D levels measured in blood samples using a radioimmunoassay kit (DiaSorin Inc., Stillwater, MN). Covariates included age, socioeconomic measures, season of blood sample, physical activity, sun exposure, vitamin D supplement use, cigarette smoking status, alcohol consumption, obesity and measures of health. Prevalence of vitamin D insufficiency was 43.0%; highest in winter (55.5%) and spring (53.9%), and was associated with season (winter and spring), low physical activity, avoidance of sun exposure, current smoking and obesity, even after adjustment for confounding factors. Inadequate vitamin D status is highly prevalent among Australian older men and is associated with specific lifestyle factors. These findings emphasize the need to screen and monitor 25(OH)D levels in this population group, despite living in a sunny country such as Australia. Australian Government Bureau of Meteorology, Internet Activity, Australia, Sep 2012. http://www.bom.gov.au/climate/ (accessed May 2012).